Three decades after devoting his life to students and their academic dreams, Dr. Ali Esmaeili says his time at South Texas College has been blessed. Sharing from the very beginning, the college’s commitment to transforming the Rio Grande Valley, Dr. Esmaeili says he has now witnessed two generations changing the region from the ground up. Most importantly, it is proof that the model at STC is working, he said. In the beginning, Dr. Esmaeili said it was easy to connect to most students in the Valley who grew up poor because he also grew up very poor, but that did not stop him from receiving his college education. Having previously received an Associate of Science degree from Coastal Bend College as well as a Bachelor of Science, Master of Science, Master of Education and Doctor of Education from Texas A&M-Kingsville, Dr. Esmaeili said he began his career working in the field in Zapata County. He assisted with biofuel research until a chance opportunity for a teaching career arose in Roma. Recruiters from Roma ISD were on campus at Texas A&M-Kingsville looking to hire mathematics teachers, and he jumped at the chance to begin teaching, not knowing at the time that Roma was hours away from his home in Kingsville. Dr. Esmaeili said he remembers the long drives down Farm Road 755 traveling to Roma in order to teach. His first education job was teaching high school freshmen who came from hard backgrounds. Many were children of migrant workers who grew up in the fields picking lettuce and tomatoes, and college was not even in the picture for most of those students, he said. For a full year, Dr. Esmaeili said he made the long trip from Kingsville to Roma until 1989 when he moved his family to Mission. He said he began to feel the many opportunities present in the Rio Grande Valley. His commitment to his students and education drew the attention of other faculty in higher education. By 1990, Dr. Esmaeili said he was hired as a math teacher at Texas State Technical College in Harlingen as well as TSTC’s satellite campus in McAllen. 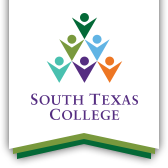 That small campus in McAllen would become the foundation for South Texas Community College, and eventually South Texas College, where he has taught ever since. The first few years teaching at the college were difficult. His office was located in a small storage room in the library surrounded by old typewriters and audiovisual equipment. In order to assemble a desk and chair he said he cobbled together boxes leftover from his move. In those early days, Dr. Esmaeili recalls working every day from 6 a.m. to midnight, but in hindsight says he knew he was in the right place at the right time. These days, Dr. Esmaeili serves as the Dean of Mathematics, Science, and Bachelor Degree Programs for South Texas College. He participates in various committees on everything from institutional effectiveness, budgeting, recruitment, persistence, graduation, and enrollment. In his tenure at STC, Dr. Esmaeili has served as a mathematics instructor, Department Chair for Mathematics, division director, campus administrator, professional development coordinator, adjunct faculty coordinator, and as an associate dean for bachelor degree programs. “We have been blessed,” Dr. Esmaeili said. “This community, this college has been blessed to have a leader like Dr. Shirley A. Reed and her focus. She really understands this community. She has studied this community, and probably has more knowledge about this region than people who were born here and who have lived here for many years. Eventually Dr. Esmaeili said he was able to meet up with many students from his first class in Roma once more, only this time as their college professor. All of them who attended STC were eventually able to graduate, he said. “Every one of those ninth graders, the ones who survived, they finished but I remember getting after them in class whenever they complained,” Dr. Esmaeili said. “I used to tell them a story that would bring tears to their eyes. “I used to tell them that as they were sitting down in the classroom, in an air conditioned room, their mom and dad were outside picking up lettuce and tomatoes,” he said. “As they bent over thousands of times to pick up vegetables in the fields I would tell students that once in a while their parents would look in the sky, and say, 'Thank God, my kids are in high school. They are going to get education. They are going to rescue us. They are going to go to college.' This is their dream.